Background materials that provide participants a general understanding of the discussion topic sufficient to promote meaningful participation in the discussion by all participants. Discussion questions and outline that are designed to avoid the appearance of bias and facilitate meaningful discussion leading to concrete recommendations. A neutral chair who helps participants delve into a topic and keeps the group on task and discussions civil and respectful. A neutral recorder who is trained to synthesize discussions into a consensus statement, which is read to and approved by the participants before the conclusion of the event. 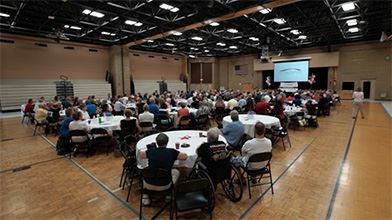 Arizona Town Hall has assembled and trained skilled facilitators who can staff your event. 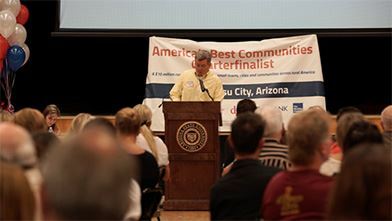 Arizona Town Hall can also train facilitators for your event.